Marcus is owner of Pooka&co, and has 15 years of experience of marketing in the cultural sector. He is a former Broadband Britain award winner for web development, and has advised the Scottish Executive and Scottish Arts Council (now Creative Scotland) on major online listings and cultural ticketing projects. 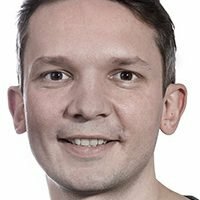 Marcus was an advisor for Creative Scotland's national digital development Amb:IT:ion project, and is a skilled trainer and project manager. Helen is an independent project manager, programme and event producer working locally, nationally, internationally and voluntarily. She designs, facilitates and produces opportunities, initiatives and spaces in which creative practitioners, micro-businesses, projects and organisations can realise their full artistic and business potential. Previously employed as Events Programmer at Cultural Enterprise Office and Craft Development Officer in Dumfries and Galloway, Helen moved to Scotland in 2005. Working for the local authority Helen jointly managed the ERDF funded Art & Craft Sector Trade Development Project delivering opportunities, initiatives and support to visual artists and craftspeople in South West Scotland. This included Spring Fling, Scotland's premier art and craft open studios event. Prior to this Helen worked for the Crafts Council, primarily in the Business Development department. Helen has previously been Craft Programme Producer at Cove Park, a Specialist Advisor to the Scottish Arts Council’s (now Creative Scotland) Crafts Department, a member of Craft Scotland’s Craft Focus Panel and a Degree Tutor delivering contextual and historical modules for a UK based, distance learning textile school. Helen has worked and studied in craft and design since 1995, pursuing undergraduate studies in three-dimensional design at Plymouth University and a postgraduate in the History of Design at the Royal College of Art / Victoria & Albert Museum.